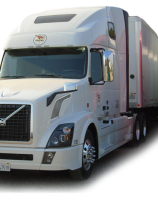 Northwest Freightway provides safe and reliable truckload transportation services and is committed to economic, social, and environmental sustainability. We provide truckload services to some of the most successful companies in America. Our people, equipment and technology allow us to consistently deliver service that meets or exceeds the expectations of our customers. Northwest Freightway offers a wide range of capacity solutions to fit your needs. With multiple tractor and trailer options we are able to maximize cube and weight to ensure the greatest value to our customers. Our equipment is 100% compliant with all environmental regulations including the California Air Resources Board requirements. Northwest Freightway’s Temperature Controlled service combines the size, strength, and service that quality customers have come to expect from our national dry van services with the versatility of temperature controlled transportation. We are capable of carrying almost any type of temperature sensitive product for delivery to your location. As a customer, you can take comfort knowing your product will remain at a stable temperature from the moment it leaves your door to the moment it is off loaded at the final destination- wherever that may be. Our level of service is second to none. We understand the importance of time sensitive, perishable products. Our customers cannot afford downtime. We understand that, and operate 24 hours/day, 365 days/year. We can handle the full array …. For smaller, one of a kind customers, we can handle one, two, or a handful of loads. For those customers with the obligation of moving large quantities of freight on a regular basis, we can offer the commitment of a dedicated fleet. We do everything in between too!